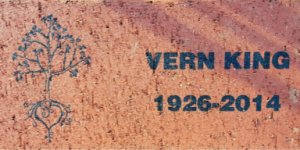 Vern A. King passed away peacefully Dec. 10, 2014, at home with his loving wife by his side after a period of declining health. Vern was born Oct. 22, 1926, in Battle Creek, Mich., to Vernon and Ruth (Curtis) King, and grew up in the Massillon area attending Washington High School. In his senior year he enlisted to serve in W.W. II, and was in the Europe Theatre from November 1944-November 1945, until he was injured. He was in the 43rd Rainbow Division and the 3rd Army Division of General Patton, and made seven parachute jumps. Vern worked for the Wheeling and Lake Erie Railroad and retired from the Apple Creek Developmental Center, after working there 25 years. He was a psychiatric aide supervisor and later a vocational rehabilitation counselor. He married Mary Ann Schroeder in 1961, and they shared many happy years together. 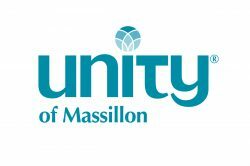 They traveled extensively, and attended Unity Church of Truth in Massillon. 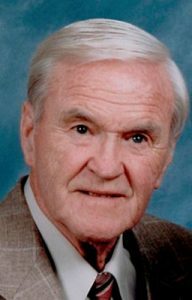 Vern had a competitive spirit and was an accomplished golfer, bowler and pool player. He was very proud to have obtained a private pilot’s license and enjoyed flying. He and his best friend, Dr. Tom Long from Jacksonville, Fla., formerly of Wooster, had many adventures flying to Tom’s island in the Bahamas. Vern had an adventurous spirit and a sense of humor. He enjoyed reading three newspapers a day, chewing on a cigar and having coffee with his friends at Subway. He was preceded in death by his parents and in-laws, Elmer and Elsie Schroeder. Surviving are his best friend and loving wife of 53 years, Mary Ann; a brother-in-law, Timothy (Deborah) Schroeder of Herndon, Va.; a niece, Kristin (JR) Fiala and a nephew, Timothy (Jamie) Schroeder, both of Roundhill, Va., a niece, Gretchen (Steven) Ripalda of Ashburn, Va., and three great-nieces, four great-nephews, plus many friends. Special thanks to the staff at Aultman Hospice and Beth Geiser, a dear friend who helped with care-giving. Funeral service will be Saturday, Dec. 13 at 11 a.m. at Zak-Thacker & Monbarren Funeral Home, 29 E. Main St., Dalton. Private burial will be in Canal Fulton Cemetery. Friends and family may call Friday from 5-8 p.m. or one hour prior to the services Saturday. Online obituary and guest registry are available at www.zakmonbarrenfh.com. Memorials may be made to Aultman Hospice, 2821 Woodlawn, NW, Canton 44708; or to Elsie Schroeder Scholarship Fund at Aultman College, 2600 6th St. SW, Canton 44710.